Apparently there is some sort of competition going on right now with some college men & women who try to through a ball through a hoop & net. Go figure, it's March again, and what does that mean? March Madness. You got it. :) College basketball competition in full force!! Unfortunately, the teams of my home state of Michigan are already out of the running, so who do I root for? Who knows- but with this manicure I'll be looking 'sporty' doing it! 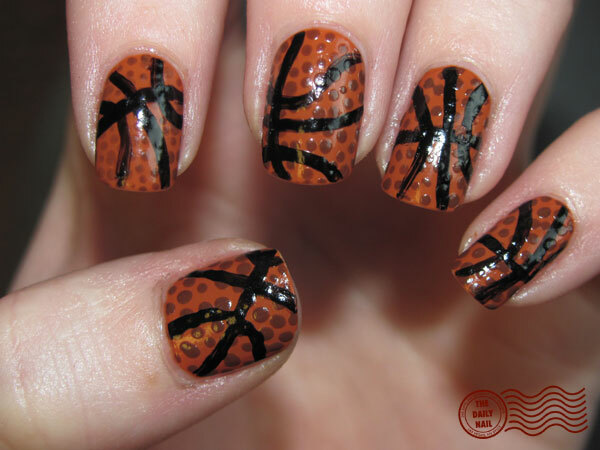 :-D BASKETBALL nails!! They even FEEL like basketballs, it's weird.